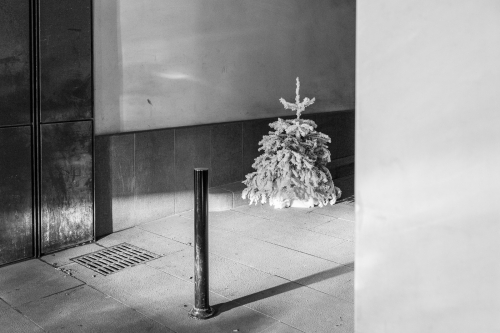 As I was walking down some busy upscale shopping street in Paris, I can across this forlorn looking Christmas tree. This in my opinion was calling for a black & white image. The idea of the tree being barred from entering the passageway would have been probably far weaker in colour. I processed the raw file in Lightroom 5.3. Just a little contrast here and there, some very light darkening at the base of the tree, some overall 'clarity' as they call it. I like the result. But do you ? Please let me know ?